What are musical works? How are they constructed in our minds? Which material things allow us to speak about them in the first place? Does a specific way of conceiving musical works limit their performative potentials? What alternative, more productive images of musical work can be devised? 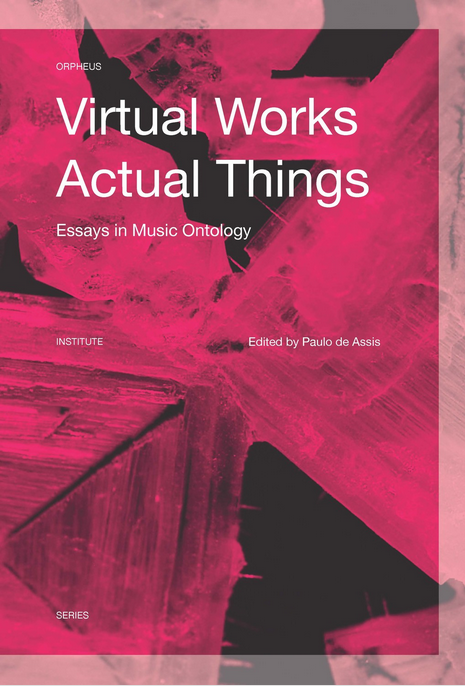 Virtual Works—Actual Things addresses contemporary music ontological discourses, challenging dominant musicological accounts, questioning their authoritative foundation, and moving towards dynamic perspectives devised by music practitioners and artist researchers. Specific attention is given to the relationship between the virtual multiplicities that enable the construction of an image of a musical work, and the actual, concrete materials that make such a construction possible. With contributions by prominent scholars, this book is a wide-ranging and fascinating collection of essays, which will be of great interest for artistic research, contemporary musicology, music philosophy, performance studies, and music pedagogy alike.